Welsh property developer Elan Homes has delivered much needed support to Flintshire Foodbank to help keep its van on the road. 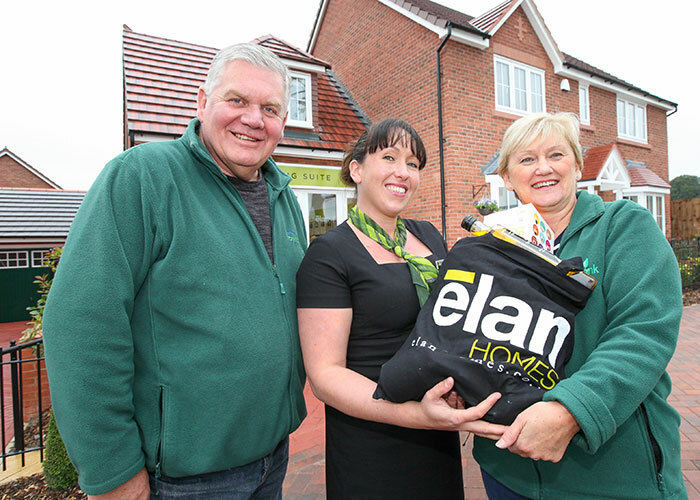 Elan has two Flintshire developments Argoed Gardens, Argoed and Kinnerton Meadows, Higher Kinnerton and as a good neighbour, the homebuilder has stepped in to offer support with a donation of £500. On average 500 people per month receive emergency food help from the foodbank. Along with building new homes, Elan is investing in community infrastructure across Flintshire. For example, around £450,000 has been allocated to local education with funding to be shared between Castell Alun High School, Higher Kinnerton CP School, Ysgol Mynydd Isa and Argoed High School. The homebuilder has also agreed to fund improvements to play facilities on Park Avenue and Clwyd Crescent. Flintshire Foodbank’s warehouse in Mold accepts donations on Tuesdays and Fridays until 2pm. The charity also has collection points across the county, the nearest to Elan’s Argoed Gardens and Kinnerton Meadows developments are at Tesco in Mold and Broughton Park. Find out more via https://flintshire.foodbank.org.uk. Learn more about Elan’s homes via www.elan-homes.co.uk.